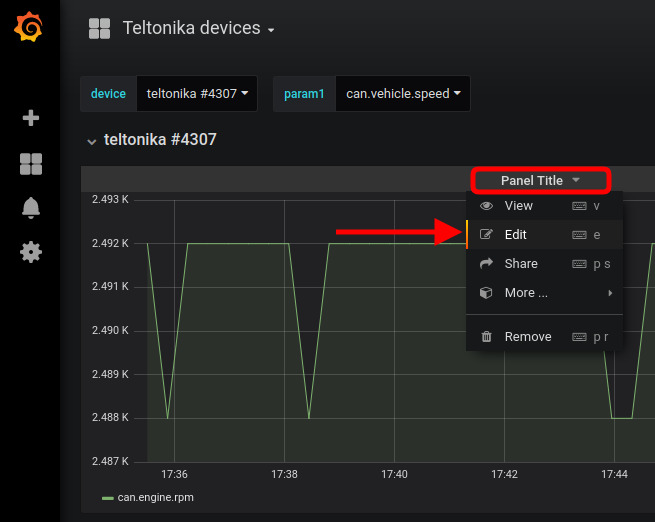 The flespi-devices Grafana plugin allows showing changes in tracker parameters over time on convenient and customizable dashboards. Say you have some devices connected to the flespi telematics hub that send messages with a set of parameters. You use TrackIt to see the device location. But what if you need to analyze device parameters — see the dynamics, compare the same parameter for different devices or compare different parameters for the same device? 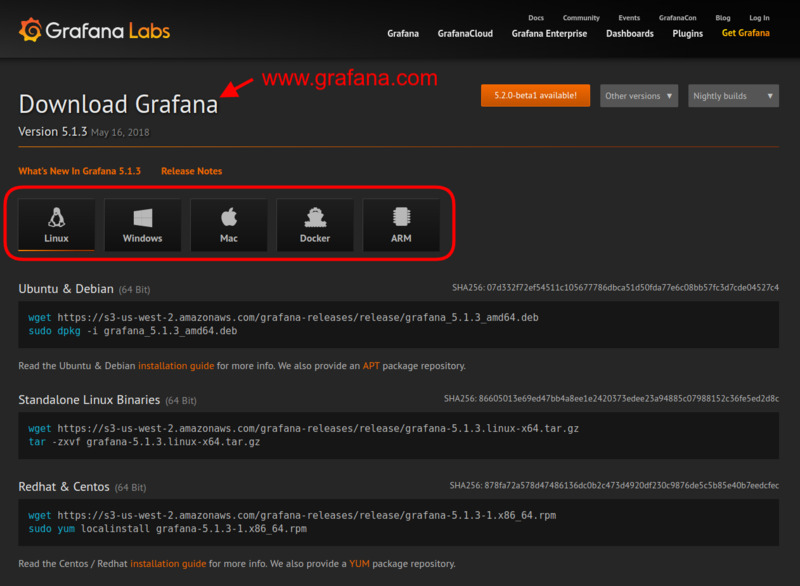 Grafana is a flexible and functional open-source tool for numeric data visualization. The central task here is to connect flespi with Grafana. 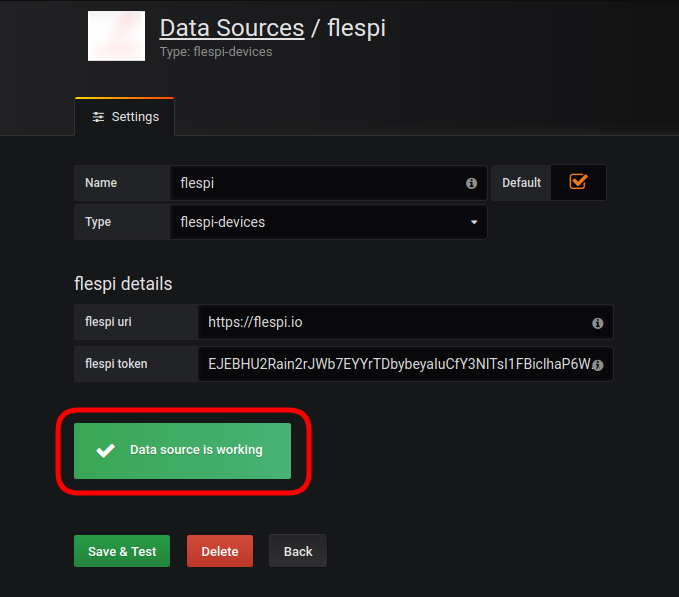 To solve this task we developed the flespi devices grafana data source plugin that can fetch flespi devices data and visualize their parameters on grafana dashboards. 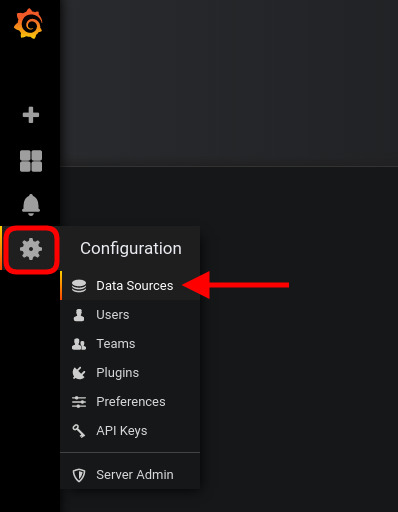 After these two commands, you should see the ‘flespi-devices’ plugin in the ‘Installed Data sources’ section of the Grafana Home Dashboard. Now we are ready to create a datasource. Open Configuration (Сogwheel) -> Data Sources and hit the ‘Add data source’ button. 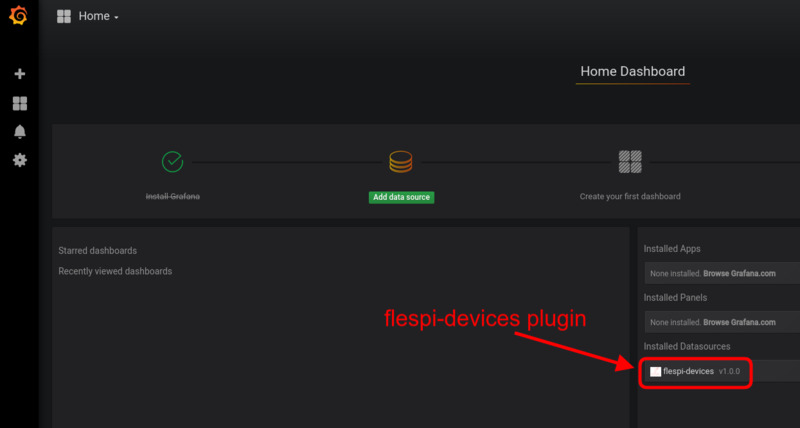 Enter the plugin name and select ‘flespi-devices’ in the Type drop-down. 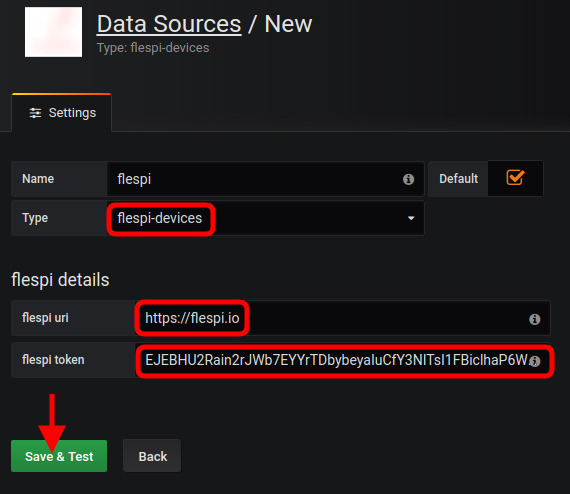 Then enter flespi URL (https://flespi.io) and insert flespi token in the corresponding form fields. The next step is to create a dashboard. Click Create (‘+’ sign) -> Dashboard and choose Graph. 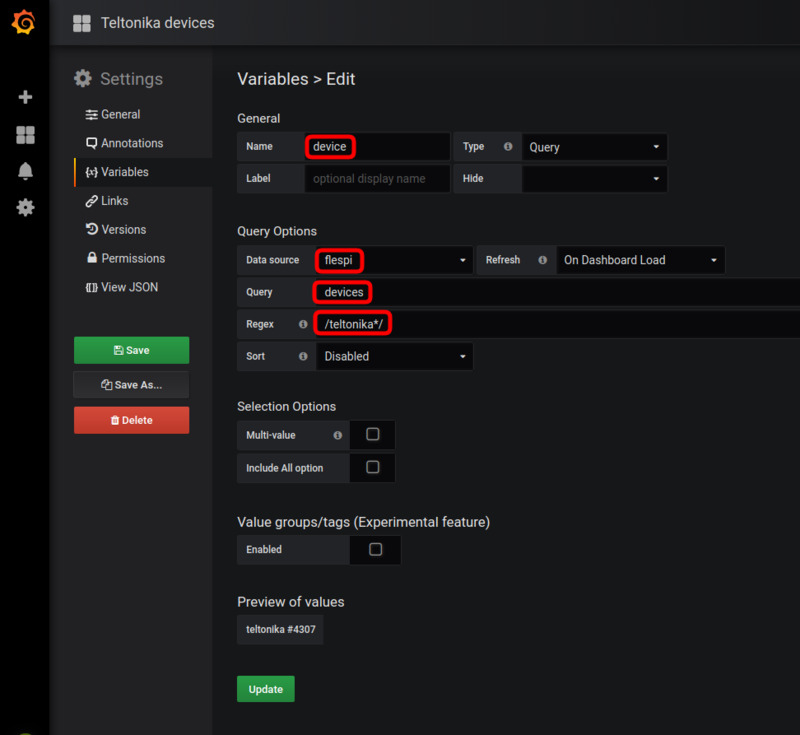 To create dashboard dynamically populated with devices that you create in the flespi panel we will use templating variables. 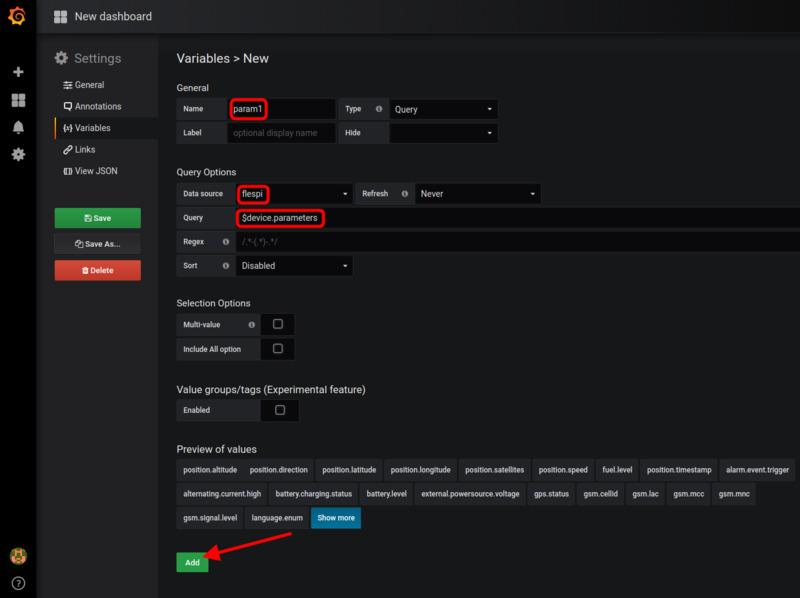 To add variables to the dashboard hit the cogwheel in the top right corner and choose Variables tab. Hit ‘Add variable’ button. Save the dashboard (green button on the left) and give it a name (e.g. “Teltonika Devices”). Switch Data Source to flespi. 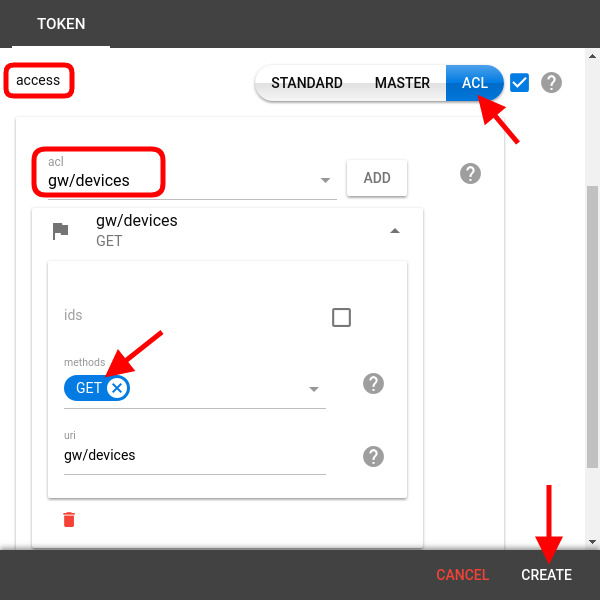 In the ‘select device’ field type $device ($ + the name of a variable from the previous step), hit Enter. This will take the device for the graph from the ‘device’ drop-down in the left upper corner of the dashboard. Generalization function may be left blank. Generalization function is a method parameter in the request, e.g. average, max or min. If not chosen, no generalization of parameter values is performed. Click ‘Add panel’ button (leftmost button at the top of dashboard), then click ‘Row’ tile. You can select multiple parameters to display them on each graph. Or use wildcards in parameter names, e.g. can. * to display all numeric CAN parameters or *.voltage to display all voltage values. 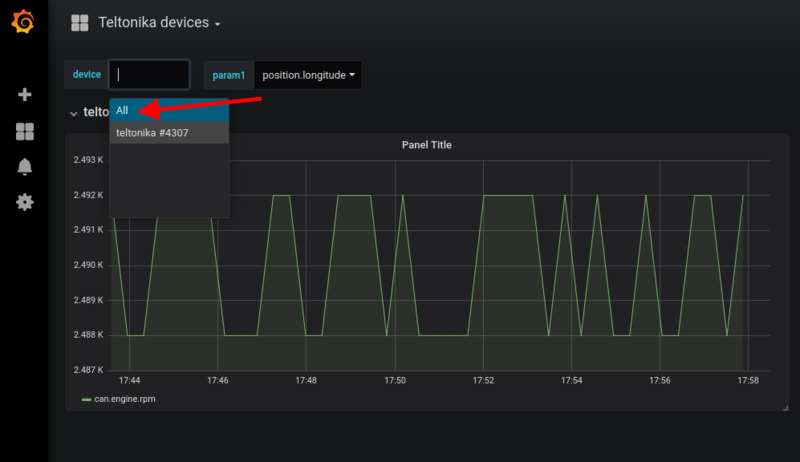 Similarly, you can build a dashboard that shows all parameters for selected devices on separate graphs. 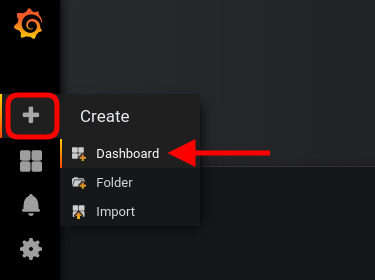 With the power of Grafana, you can build dashboards that best fit your needs. And if you think that current implementation of flespi-devices-plugin lacks important features, feel free to fork it on GitHub, implement new features, and send us your pull requests. As usual, flespi comes with extra good news! You don’t have to set up the dashboard yourself: we set up a dashboard for you and made it available to download here. All you need is set up a data source, import our dashboard, tune it according to your needs, and enjoy the results. Split messages into intervals, calculate mileage, speed, geofence ins and outs, sensors state, what not, apply mathematical functions and wrap into user-defined logic.